Every now and then it happens that there is something on a web page which I visit frequently that I don’t want to see. Things that are simply just annoying. Sure I could try to ignore it, live with it, try to convince myself it’s not worth bothering. But why should I? There are easy solutions to get rid of it. 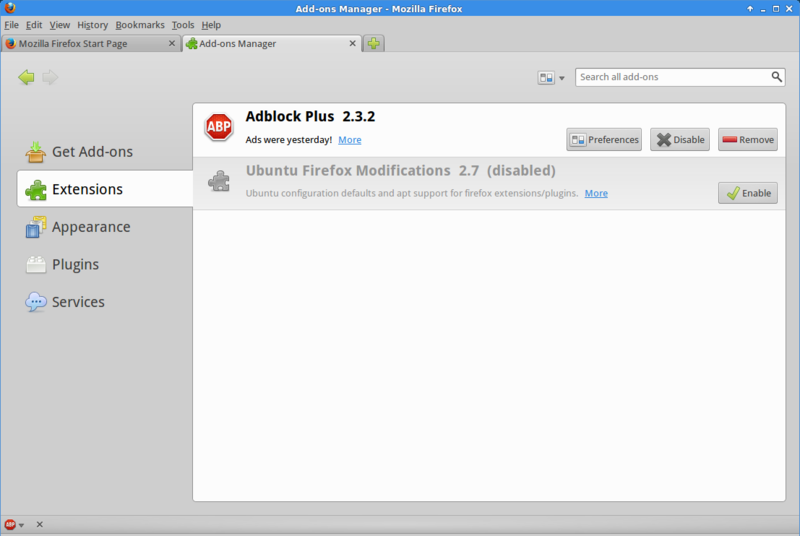 Most people probably know Adblock Plus and many use it, myself included. 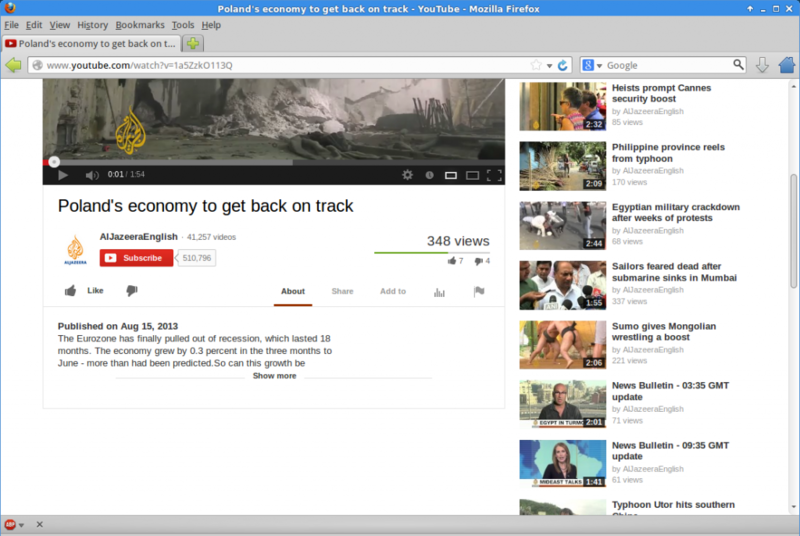 It is now available for almost every modern browser, like Firefox, Google Chrome, Opera 15+, and even Internet Explorer. 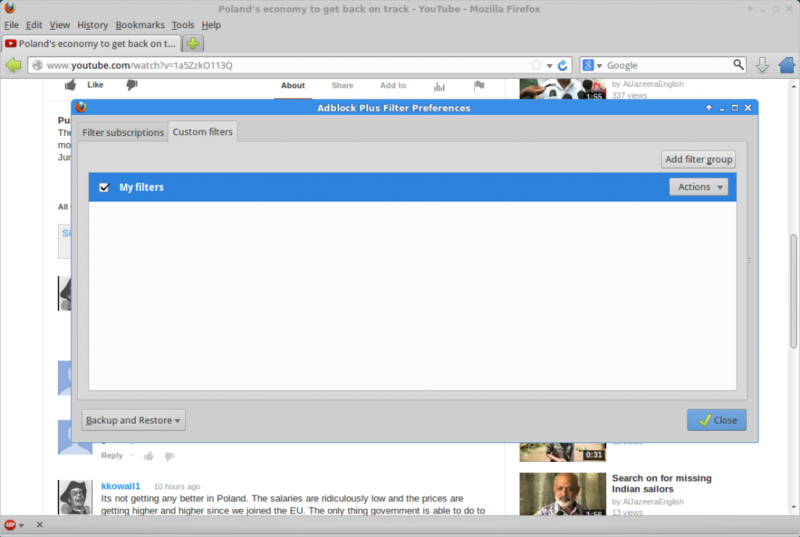 It is obvious what it does, it blocks ads. 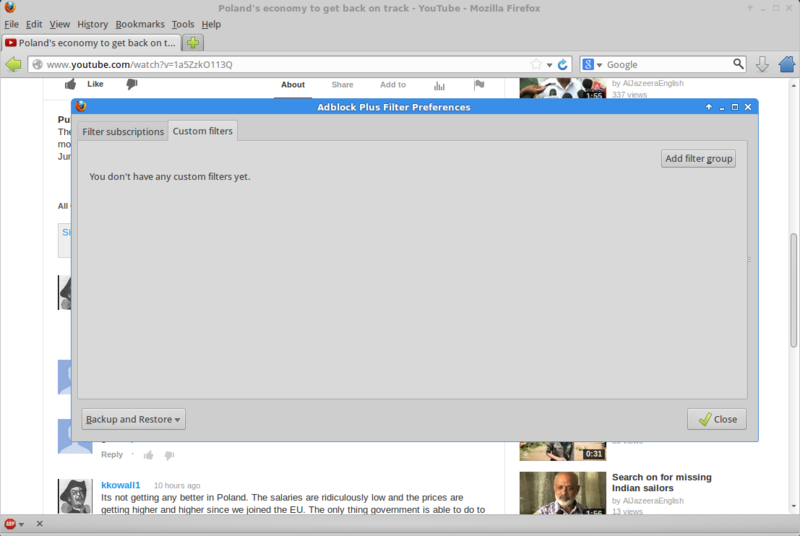 But it can do more, like blocking things which aren’t ads, but still annoying. I’d like to demo how to do it with this little example: YouTube allows to post comments (unless the person publishing a video disables it), but sadly a huge amount of comments are racist, xenophobic, sexist and so on and so forth. Few comments have any value. Maybe you are the kind of person who ends up reading that stuff even though you’d rather not and you know you just end up being disgusted. So lets assume you want to get rid of it, to kill that nasty temptation. 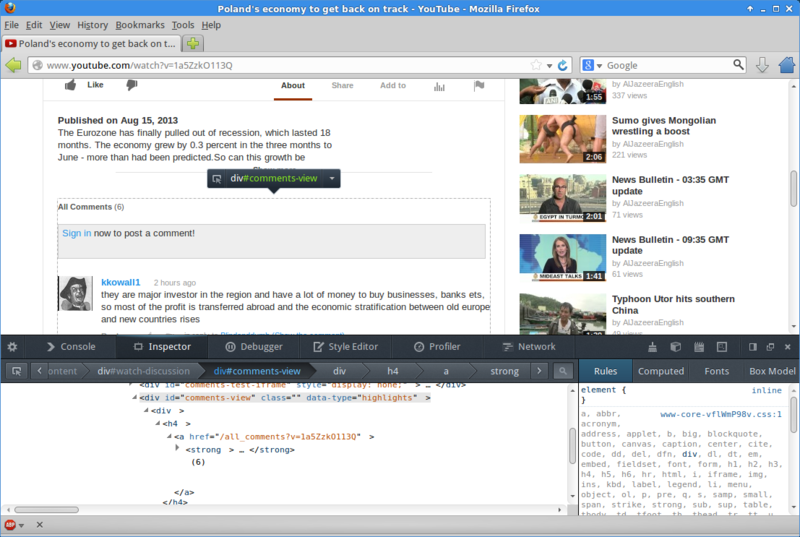 I will show how to do this with Firefox. 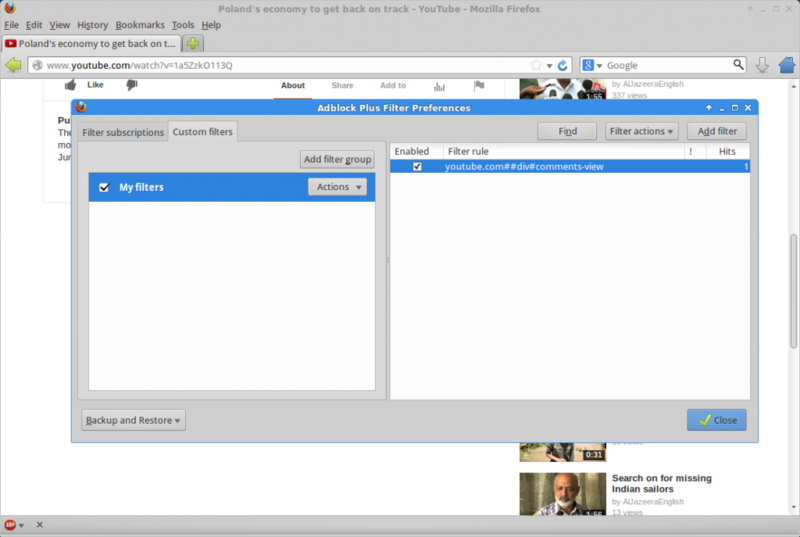 But I assume it will work very similarly with other browsers and their Adblock Plus addons. Don’t be scared, it should be easy enough for the average internet user, not much technical background needed. 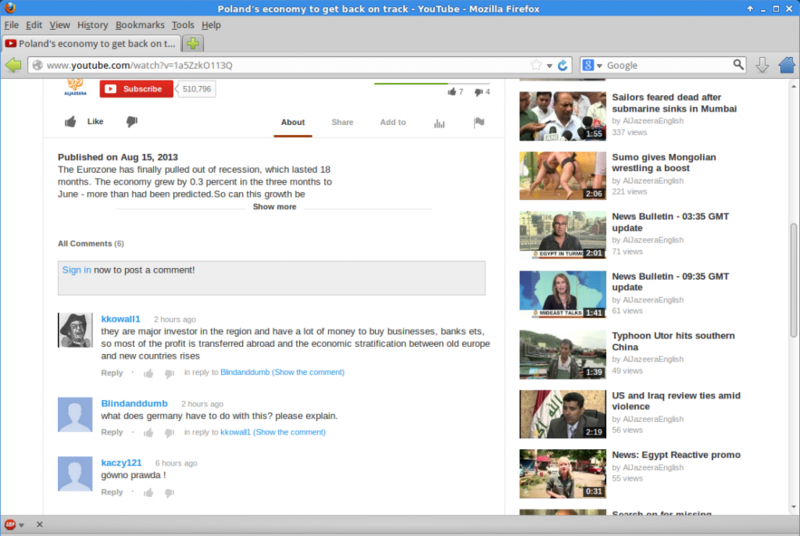 The relevant information is that it is a <div> tag, and that the id element’s value is “comments-view”. If there was no id element, we could also use the class element (provided there is a value assigned), however class is more risky because unlike id values, class values don’t have to be unique (you may block more than you intend to).